Today’s post is for Project 52, a weekly blog project that I am working on with several other talented photographers whom I’ve come to know over the past year. In this project, we concentrate on light and spend several weeks exploring an overarching theme. For the next four weeks, we will be concentrating on natural light indoors. I love using window light as a source for my images, so I am looking forward to that this month. Earlier this week, I shot some pictures of my girls as they were waking up for the day (some are posted below). I was thrilled to get a number of images that I liked, but this one of Alexa is my favorite. 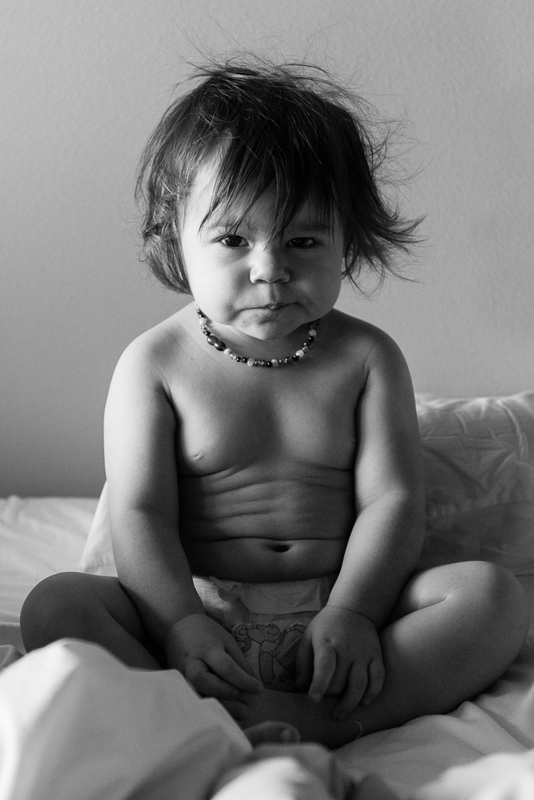 She manages to look like a teeny tiny version of a hungover rock star, like a mini Keith Richards or something. It just kills me. Please continue along our creative blog circle to see what my friend Linda Hooper has posted. Click HERE for Linda’s first play on Natural Indoor Light. ← Yes, I really do dress her like that. I have no words for how much I love this picture. It’s just too much. Tiny hungover rockstar is right! LOL love her! OMG….love it! This just kills me! don’t mess with alexa, LOL. love it! I so friggin love this.